All nominations must be received by 23:59 3rd March 2017. 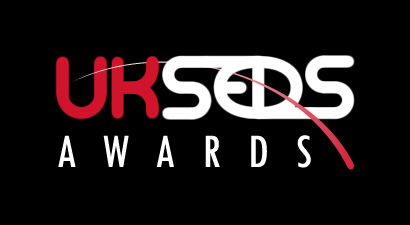 The nominations will be considered by the Awards committee, made up of the UKSEDS Committee and their designees, or a designated party for a particular award. This award honours outstanding contributions to the student space community this year. This student made the most significant impact as a whole, and has demonstrated excellent leadership ability, dedication, hard work, or persistence. This award honours an outreach ambassador who promotes student effort at educating the public about the importance of space. This individual has been innovative or especially effective at promoting space exploration and development. This award honours the best performing branch which has displayed the vision of UKSEDS at every opportunity. This branch worked on a variety of projects and made a great effort to interact with other members nationally. This award honours the best student technical project either at branch or national level. The winner of this award demonstrates strong accomplishment. This project overall follows, encourages, and enhances the mission of UKSEDS while building technical skills critical for students participating on the project. It serves in some form or another as to what projects should strive to attain.